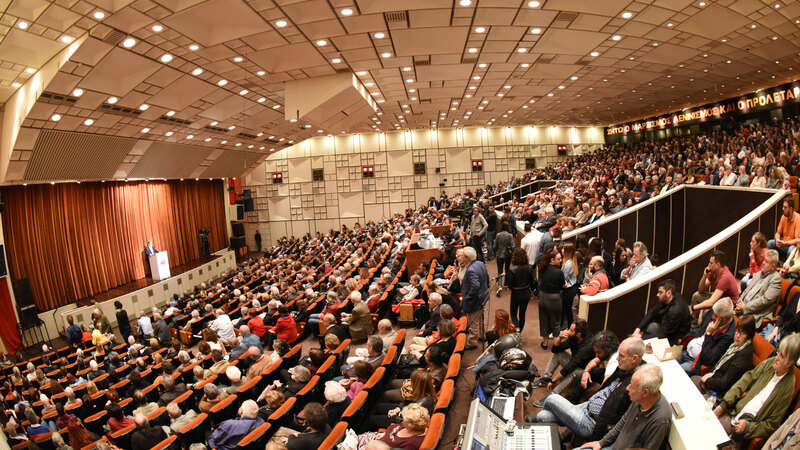 The event held by the Central Committee on 21/4/18 at the Conference Hallof the Communist Party of Greece in Perissos was dedicated to a special aspect of our Party's 100 years of life, to the life of Greek political refugees in the People’s Republics. The KKE headquarters were filled with political refugees, as well as their descendants who earlier visited the exhibition with deep emotion and also met old acquaintances, friends and comrades. The presence of the youth, which is thirsty to learn about a relatively unknown aspect of our Party History, was also special. In the courtyard a very interesting exhibition with dashboards and archival material was created, depicting aspects of the life of political refugees. In the event the GS of the CC of the KKE Dimitris Koutsoumbas delivered a speech, followed by a theatrical performance and a musical program. The SG of the CC of the KKE commented on international developments, noting that "the clouds of a generalized imperialist war are now more threatening”. Despite the false image the government, the other bourgeois parties and the system staff are trying to build, after the US, Britain and France attack on Syria, with the support and tolerance of other NATO and EU states , competition in the wider region not only does not de-escalate, but also enters a new, more dangerous phase. The tension that accumulates and, above all, the enormous concentration of so many competing military forces in the region make the possibility of generalization of the conflicts even stronger, no matter when and which will be the next step. The control of wealth-producing resources, energy routes, spheres of influence is what brings major imperialist powers such as the USA, the EU, in conflict with other powerful capitalist states such as Russia and regional powers, with governments that are not likeable to them, because they serve competing plans. It is once again confirmed that the imperialist war is the choice of these forces, when the rotten system of exploitation and profit cannot resolve in a different way- with commercial "wars" and anti-popular measures - its vast impasses. It is confirmed that war is the continuation of politics with other violent means. That is why the struggle against the imperialist war needs to be strengthened now. To close down the Souda base and all the foreign bases in Greece. To close down the British bases in Cyprus that are “launching pads” of death. For all Greek soldiers on missions abroad to return. To disengage our country from NATO and the EU. To strengthen the solidarity and the common struggle of peoples, the struggle that will target the rotten system that bears poverty, crises, wars. Now, together with the struggle for the wage, the recovery of the losses in the years of the crisis, together with the struggle for Collective Agreements, we need to struggle against the entanglement of our country in the imperialist plans. And these are said by all those who have transformed Greece into a US-NATO base for the whole region. Who, on behalf of the capital, take the role of the “flag-bearer” in the dirty plans of the USA-NATO from the Southeastern Mediterranean and the Middle East to the Balkans and beyond". In addition, D. Koutsoumbas, referring to the event, noted that itis"referring to a special, heroic, tragic but at the same time a great part of the history of the Greek Communist movement and our Party, which this year celebrates its 100th birthday. The issue of political refugees has been the result of the organized and coordinated passage of its fighters to the People’s Republics, which in fact canceled the plans of the bourgeois army and its imperialist allies to exterminate them. The study of the history of the political refugees - the history of the party under these conditions, gives us knowledge for the history of the revolutionary movement, the Democratic Army of Greece (DSE), as well as the socialist construction in the past century. 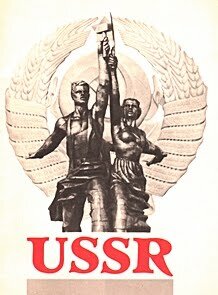 To be a political refugee was the forced choice for the thousands of DSE fighters who with the head high and with a strong, militant attitude were hosted in the countries of socialist construction, in the Soviet Union and the People’s Republics of Central and Eastern Europe. Based on data from the 3rd Conference of the KKE, the political refugees in 1950 numbered nearly 56,000. Among them 17,529 children, who were forced to be refugees in order to be saved from hunger, from Truman's Napalm bombs and Queen Frederique "reformatories". Many of these children, witnesses of the care of the socialist system for the children, are now among us. They are the powerful example which smashesthe bourgeois propaganda that supposedly their salvation was a mass kidnapping of children in order to become janissaries against the homeland. Together with the fighters ofthe DSE and their children,thousands of elderly, helpless, civilians, whole villages that had supported its action were refugees. In order to be saved from the avenging fury of the bourgeois army and state repression. The tenths of thousand of political refugees, were flesh of the flesh of the KKE and the struggle that inspired and guided the climactic moment of class struggle in our country, the struggle of the DSE. Many of them were leading in EAM-ELAS's armed struggle and earlier in the workers' movement, in the struggle to improve the working class's life and its historic mission for a free and socialist Greece. We want to honour all of them today. Especially those who have not been able to return to Greece, since in the about three decades of that lasted the condition of political refugee,thousands of those took their last breath abroad. But also those who did not retreat and repatriated after a long struggle, knowing that returning to the homeland meant a new tough battle for their survival in capitalist Greece. " 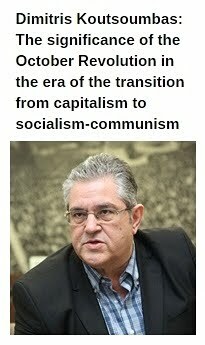 The SG of the CC of the KKE noted that "The thousands of political refugees experienced firsthand socialism, they defended the new socialist construction with their work in production, with their communist “forging” despite adversity. They were launched into a new peaceful battle, they made a great effort and shortly succeeded in learning the language of the country that hosted them, they conquered the castles of science, of technical specialization. There were pioneers in strengthening and developing socialist production in the industry and the agricultural sector. They emerged as pioneers and innovative workers in socialist production. In the case of Greek political refugees, internationalism, internationalist help and contributionhave been exceptional. The thousands of political refugees, at the same time, are witnesses of the internationalist contribution of the countries of socialist construction, which, with their generous help – especially to children - proved the highest humanitarian content of socialism. And in order to understand the magnitude of this offer, it is enough to think that these countries were heavily hit by the disasters of the Second World War, the Nazi occupation. Nevertheless, they provided the best, especially for children: Buildings, educational and medical staff, infrastructures and means for their healthy eating and living. This is the greatness of a superior social system, socialism, which has been able not only to welcome but also to directly meet the needs of political refugees for health, education and work ". D. Koutsoumbas called upon the descendants of the second and third generation of political refugees "To get to know our positions even better. To study the conclusions of the KKE on the causes that led to the overthrows, to the capitalist restoration. We call upon all those who have lived, have seen the achievements of socialism in work, education, health and culture. But they also experienced the retreat with the counter-revolutionary overthrows. Many of them are here today, among us. They know that after 1991, the world did not get better, on the contrary, imperialist aggression, barbarity became even more intense at the expense of workers all over the world. They know that socialism, the greatest conquest of mankind ever since, is a system that has at its epicenter the satisfaction of social needs, the rise of the general level of prosperity for all. 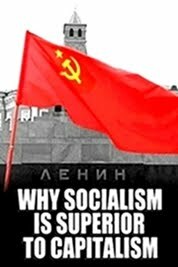 And to those who ask, who want to know "why socialism was overthrown," we answer: Because gradually the CPSU and Soviet power, in the face of difficulties, adopted choices, such as the promotion of market policy, derived from the laws of capitalism. 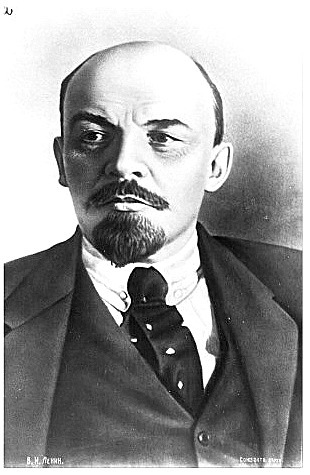 Thus, social ownership, central planning, labor control, the socialist character of production was weakened, the driving force of socialism was lost. 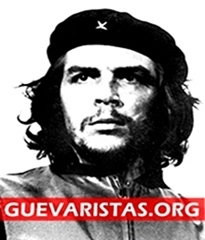 The character of power as the dictatorship of the proletariat with the so-called All Peoples’ State was denied, as well as the class struggle that continues until communism. 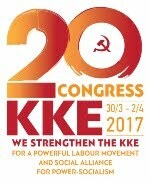 We call upon those who have experienced the socialist construction, not only to get to know the contemporary conclusions of the KKE on the causes of the counter-revolutionary overthrows but to also study the precious teachings of the Party about its history when several members of the Party were under the status of political refugee and in general. Because the party itself went through these conditions.Its Central Committee, the Political Bureau, in the proximately three decades when the KKE was outlawed by the Greek bourgeois state. The headquarters of the CC was hosted in Romania and then in 1968 in Hungary. Also the "Free Greece" radio station and after 1956 "The Voice of Truth", which illegally broadcasted in Greece to inform the Communists and the Greek people. And during that period our Party also wrote pages of pioneering action and self-sacrifice, such as hundreds of illegal missions in Greece for the development of Party action. One of them was the mission of Nikos Belogiannis. 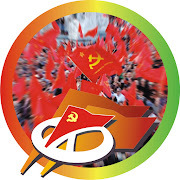 The action of the KKE was supported by the Communist and Workers’ Parties of the countries of socialist construction as well as by the respective states. However, developments in these countries, including the Soviet Union itself, affected the lives of political refugees, the ideological struggle as well as the policy of our Party. 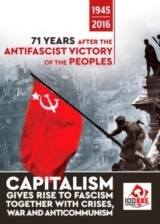 For example, the right-wing opportunist turn of the CPSU with the resolutions of the 20th Congress in 1956 brought the intervention of the CPSU and the Committee of the 6 to the KKE. It was the starting point for the change of the Party's political line, the deposition of Nikos Zachariadis from being Party Secretary and a number of other organizational changes. The intervention of the 6 CPs of the countries that hosted political refugees brought a right opportunist turn to the Party as well, which two years later had also anorganizational character, as it led to the dismantling of the illegal Party Organizations and diffusion of the Communists in the EDA. The 6th Plenary of 1956 led to a major crisis in the KKE, led to the expulsion from the Party of thousands of party members in the organizations of Tashkent, where the bulk of political refugees lived. The consequences of the defeat and the fact that several members of the Party were under the status of political refugee brought phenomena of grumbling, friction, continuous search for the causes of defeat. In this ground, thecompromised opportunist views also strengthened, with regard to the political line of the Party, with its strategy before 1956. Despite the right turn that occurred in the years after the 6th Plenary of 1956, our Party defended elementary revolutionary principles, opened a front against Eurocommunism, was not transformed into a Euro-communist party, it opened an ideological front with it. The whole period under the status of political refugee for the thousands of DSE fighters, thousands of Communists and the Party itself at that time, is highly instructive. " Referring to the struggle for the repatriation of political refugees, the GS of the CC of the KKE highlighted that "it came as a result of long-standing struggles and was realized after the de facto legalization of the Party in 1974, with the fall of the seven-year military dictatorship. But again nothing was given. It took an entire period of struggle by political refugees, a struggle where the KKE had a leading role. And it concerned free repatriation in practice. To remove all legal obstacles, but to also support the life of the repatriated political refugees, to provide pensions for the elderly. Nothing was given. Everything was gained with struggles. We honor all who fell in the battlefields, who were executed. Those who were tortured, exiled, imprisoned. Those who were forced to be political refugees. The children and grandchildren of all those who continue to struggle for dignity, life and the best pan-human future. Long live the 100 years of our heroic party. "